« Imagine a robot that quietly and discreetly enters your neighborhood. 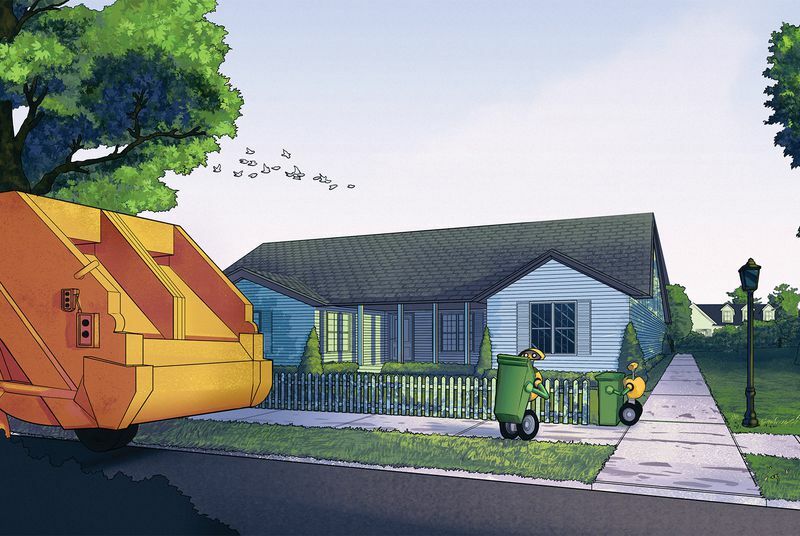 » This is not the prelude to a new cautionary tale about the inevitable rise of the machines, but rather the opener to Volvo’s press release announcing a new joint venture for the development of autonomous trash-collecting robots. These two-wheeled bots — who in their present conceptual stage look like cousins of Disney’s Wall-E — will « collect your refuse bin and empty it into the refuse truck … without waking the sleeping families and without heavy lifting for the refuse truck’s driver, » says the Swedish company.